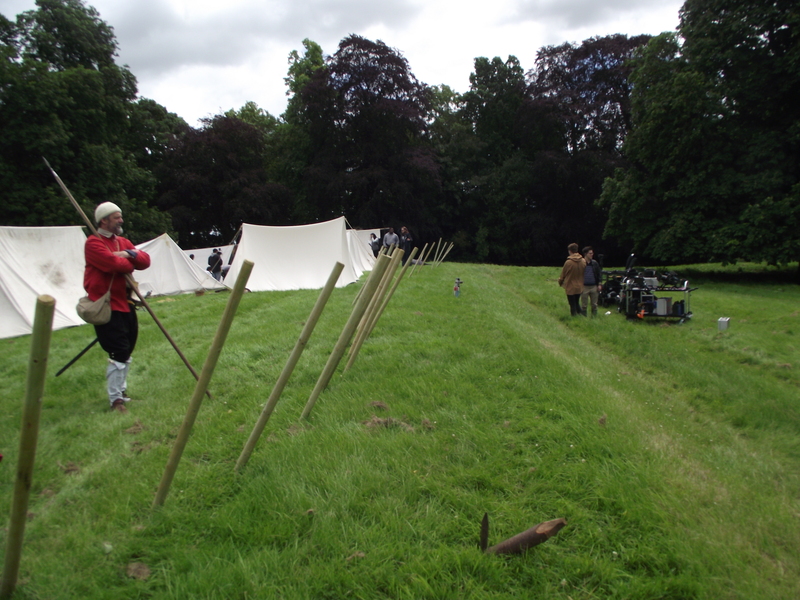 To celebrate the end of a crappy June and put it behind us we toddled off to Holdenby House in Northhampton to watch the Sealed Knot stage a battle with 2000 soldiers (as advertised). B&Q Tree stakes the order of the day!! It was £10 to get in (a couple of that entrance to the house) but it was very clear this was a private sealed knot party and you paying customers were not really wanted. It was like crshing a private party. I was very disappointed, all the troops were in their own compound – you couldn’t get to see them – there was no running order, no plan, and very little to do or see. Badly organised – even down to the front door staff who a, didn’t know what was happening, and b, would only let you stand near the toilets for no apparent reason. I’m happy if the Sealed Knot what to get together and have a bash – but if there is paying public make an effort. We didn’t even stay for the rumoured battle (there was no information) as it was clear from the lack of a laid out area the public were not to be involved.